With just over a month before the start of the 10th edition of the RORC Caribbean 600, over 60 yachts have officially entered the Caribbean classic. Superyachts, maxis, multihulls and a vast array of racing and cruising yachts will be taking on the beautiful, yet challenging race around 11 Caribbean islands. Perhaps as many as 20 Irish sailors are taking part in all, and the preliminary list shows that Adrian Lee’s Cookson 50 Lee Overlay Partners (Royal St George YC), winner of the first RORC Caribbean 600 in 2009, is back in the hunt and up against such other noted Cookson 50s as American Ron O’Hanley’s Privateer, runner-up in the Rolex Fastnet Race 2017. Ian Moore of Carrickfergus, overall winning navigator of Hap Fauth’s Maxi 72 Bella Mente in last year’s Caribbean 600, is going again, but aboard a boat of a different vintage. Just this morning in New York, he signed up to pilot the Elliott 52 Outsider, a 1997 New Zealand design though built in 2006 and still a very competitive proposition generally - particularly so with Moore calling the shots. Conor Fogerty’s Sunfast 36000 Bam! (Howth YC, class winner in 2016) is very much in the hunt, his crew including Mini-Transat veteran Tom Dolan. Irish-French interest is further maintained with popular Round Ireland contender Eric de Turckheim of La Rochelle with his new 54ft Teasing Machine, overall winner of the recent east-west RORC Transatlantic Race. In IRC Two, last year's winner and sixth overall, El Ocaso is looking for a charter and is one of three J/122s entered this year, alongside Pamala Baldwin's Antiguan Liquid and Bernard McGranaghan's French Noisy Oyster. "It's exciting, exhilarating, exhausting and filled with the spirit of adventure. We are brave-hearts with a mission - to dig deep and give it our best. We learn to expect the unexpected. We bond and make lifelong friends and cherish priceless memories," says Pamala Baldwin, owner of J/122 Liquid. Two Antiguan yachts scored memorable victories in 2017, Bernie Evan-Wong's RP37 Taz was the winner of IRC One and Jonty and Vicki Layfield's Swan 48 Sleeper X was the winner of IRC Three. "We have had a number of Swans, but this one is special," commented Jonty Layfield. 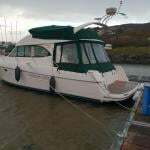 "Despite her age Sleeper is in really good condition and we love to cruise as well as race. Winning class last year was fantastic and we would love to repeat that. We were also ninth overall and it would be amazing if any of the smaller yachts could break into the top five this year. The core Sleeper crew has been racing together for over 20 years and we also have talented young Antiguan sailors on board, which is a great mix and it is really rewarding to help young talent develop." Two all-women teams will be competing in the 10th edition of the RORC Caribbean 600. 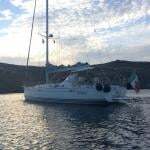 Miramar Sailing's Grand Soleil 46.3 Phoenix, skippered by Pippa Turton will have a crew of nine, and Girls for Sail's Beneteau First 40.7 Hot Stuff, skippered by Sophie O'Neill returns having finished last year's race during the prize giving after over five days at sea. "We pushed really hard to make it in time for the party and it was one of the best evenings. I love racing with the RORC because they really put on well managed and enjoyable racing," commented O'Neill. "I was delighted to hear that there will be another all-female team in this year's race. I am sure we will want to meet up beforehand to get to know each other and share a few drinks afterwards, but during the race, it will be very competitive." The 2018 RORC Caribbean 600 starts from Antigua on Monday 19th February.